Charm abounds in this historic (c.1890) 3-4 BD, 2.5 BA colonial which was used for many years as a duplex and was restored to a traditional single-family home in the early 2000's. Now this home offers the best of old & new with its remodeled kitchen and bathrooms, newer oak flooring, newer windows, neutral painted walls, and updated systems. Signs of the original structure are still evident in the vintage window over the front porch, 1st & 2nd floor bay window alcoves with original paneled wood walls, and traditional millwork both inside and out. The covered front porch features a ceiling fan and is perfect for relaxing. The front door leads to a hallway area with a staircase with traditional millwork and open flow to the large Living Room. The Dining Room opens to the Kitchen and is adjacent to the 1st floor Den, which has a closet and could be used as an Office or 4th Bedroom. The current owners updated the renovated Kitchen with expanded cabinet & counter space. It features granite counters, cherry cabinets, stainless appliances, and a door to the rear covered porch. Upstairs is a Master BD with sitting area, closet, and renovated en suite Master BA. Bedrooms 2 & 3 plus a renovated Hall BA and an upstairs Laundry are located on the 2nd floor as well. Loads of windows make this home sunny and bright inside. Outside is a 1-car detached garage and an extra wide driveway that easily accommodates 6 vehicles. The wonderful deep rear yard is fully fenced and backs to North Wayne Park, which has a baseball field and a playground. 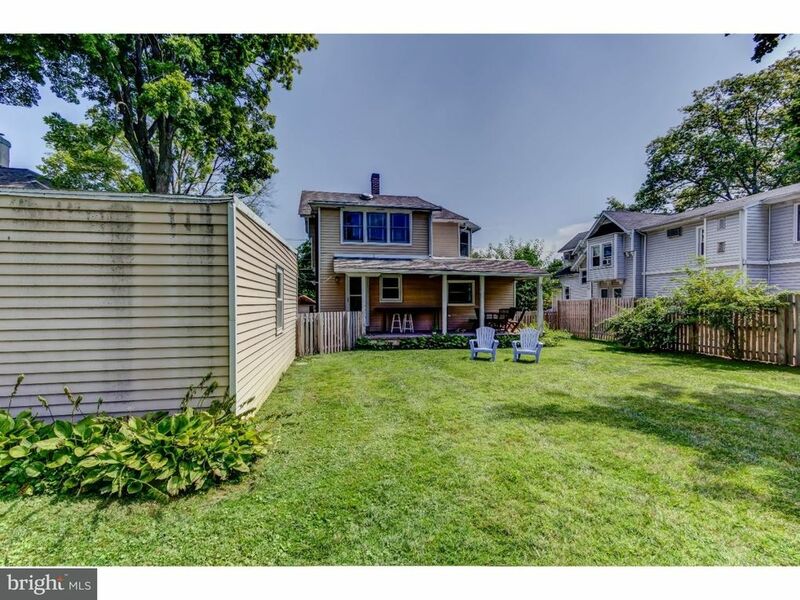 This property is also located within the very popular North Wayne Protective Association neighborhood. The NWPA is a civic association which has been in existence since 1885 and plans events like progressive dinners, soapbox derby races, holiday caroling, and other events for local residents. Just steps from the Wayne train station, this wonderful home is in a coveted walk to town location with easy access to shops, restaurants, movies, library, and other amenities in the village of Wayne. Free Home Warranty included. Easy to show - call today!